As noted in the trail length and elevation gain, there are a couple ways to enjoy the Rock Lake Basin. For this narrative, I will take you through the entire loop. You begin at the end of what has to be one of the worst roads on earth. OK, maybe not the worst, but close to it. Although the roads into Veda Lake and Badger Lake and Pyramid Peak probably take the honors over this excuse for a vehicle passage way. If you arrive in one piece at what is called the Frazier Turnaround, the trail head is on the northwest side of the parking area. The place where you begin this hike is the place where you will end it, but not on the same trails. Follow Trail #512 and follow the signs toward Serene Lake. The trail drops abruptly as you loose altitude reaching the first of several lakes. You will be hiking through fairly dense forest as you descend into the lake valley below. At about 1 mile you will come to an intersection that directs you to the Middle and Upper Rock Lakes. Bear to the left and follow the trail as you regain some of that lost elevation, but not much before you reach Middle Rock Lake. This lake is a beautiful gem tucked away against the cliffs just to its south. To find Upper Rock Lake, continue around this lake on the western side and a trail will take you to the upper lake. When you are ready to continue your journey to Serene Lake, backtrack from Middle Rock Lake to the intersection that you stood at earlier and follow the signs down hill toward Serene Lake. In just a few tenths of a mile you will come to the trail to Lower Rock Lake. This is certainly worth you effort now that you've come this far. 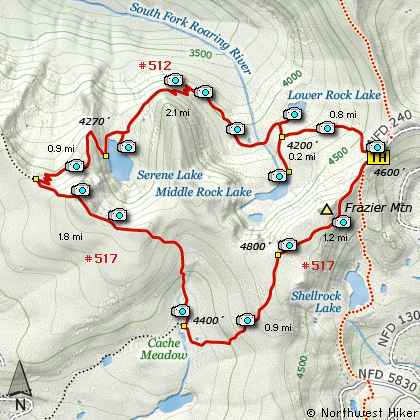 After your moments at Lower Rock, continue west on Trail #512 toward Serene Lake. The trail continues to travel through fairly dense forest and occasional meadows. After about a mile, you have reached your lowest point in elevation and the trail begins a rather serious climb out of the valley. Switchbacks and occasional excellent views make this climb quite tolerable. When you arrive at Serene Lake you will have a number of options as to just where to camp or rest your weary bones. A user trail goes around the lake for your viewing pleasure. On the west side of the lake you'll find our Forest Service's finest facilities.... just in case nature calls while you are there. I urge you to note the photo I've included in the slide presentations. After lunch and a good nap, you are ready to complete you journey. Would I discourage you if I told you that at this point you are NOT even half way through the adventure? Well, you're not. Now you must climb out of this valley and up to the ridge that overlooks all this beauty. 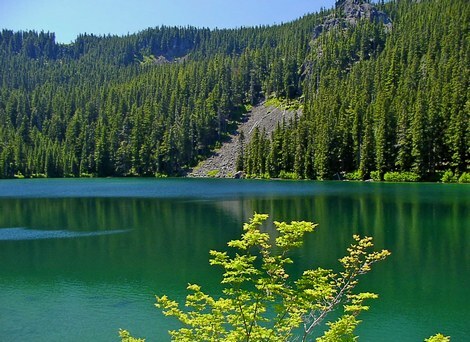 The trail leaves Serene Lake on the west side, just a stone's throw from the memorable outhouse. After climbing for about a mile and gaining about 600 feet, you'll come to the junction of Trail #512 and Trail #517. Follow #517 to your left and continue uphill. In another three quarters of a mile or so, you pass by a strange clearing on your left. I say strange because it couldn't have been natural. Someone cut those trees down, out here in the middle of nowhere. Anyway, follow the path out into this opening for what are probably the absolutely best views on the hike. Mt Adams, Mt Hood, and Serene Lake below you are an incredible sight. I just hope you still have film in your camera or that you digital camera still has room left for a few more megabytes. When you leave this remarkable viewing sight, the trail still climbs just a bit before beginning a rather serious drop into the meadow below. After my early summer visit to Cache Meadow I now know where all the mosquitos in Oregon are hatched. The meadow even has a runway with a control tower directing the swarms of newly trained pests just which route to take to their next victims. 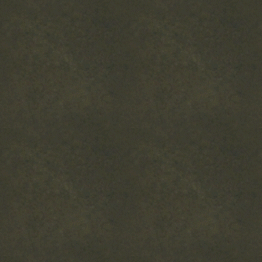 If you have any blood left after leaving Cache Meadow, you get the privilege of climbing back out of this hole. The trail is moderately steep and takes you up another several hundred feet in elevation before coming out on what used to be the rest of Forest Road 240. You know, that rock heap you drove over to get here in the first place. The good news is that it is all down hill from here. Which is good, because you probably only have strength left to go down hill. In a little over a mile you come around a bend and catch a great view of Mt Hood and back over your shoulder a super view of Olallie Butte and Mt Jefferson. As you complete the last bit of your hike, you will pass the junction of the trail to Shell Rock Lake. Then you're back where you started. Now all you have to do is hope and pray your vehicle can get out of this place. Follow Highway 224 out of Estacada for about 26 miles. Right after the bridge just beyond the Ripplebrook Station, bear left on Road 57 toward Timothy Lake At about seven and a half miles, turn left on Road 58 for almost seven miles. At the next junction bear left on Road 4610 for about a mile. Then turn left on a very primitive Road 240. Follow this very poor road for about four and a half miles to the trailhead.